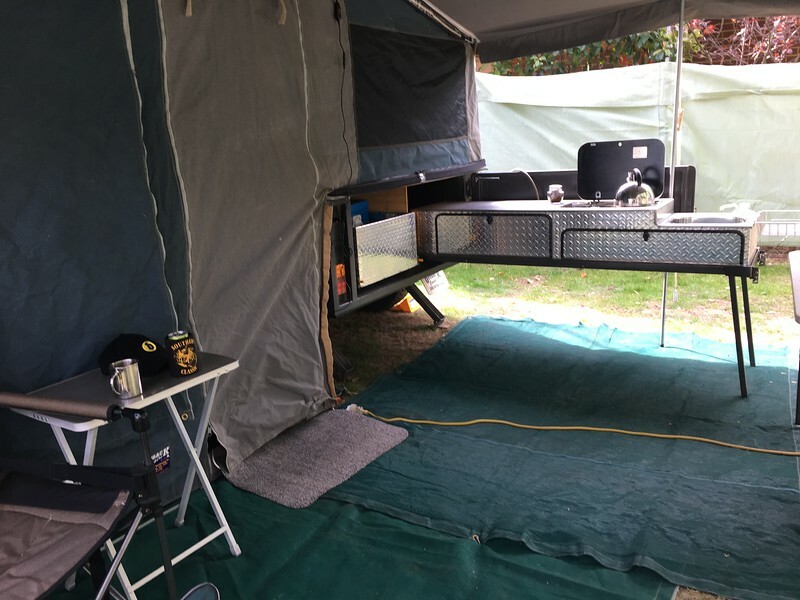 Mrs T and I camped in a caravan park in Phillip Island for four nights for the MotoGP weekend, rather than our usual day visit. We arrived by car with our camper trailer in tow on pre-race Thursday afternoon, set up and then wandered into Cowes for a look about. Our camper trailer is fairly basic, however, with its battery, solar panels, ‘fridge and stove we are quite self sufficient. However, a powered site was the only option so we had the added luxury of running a heater – which was very welcome in the evening and the chilly PI spring mornings. The caravan park and its rental cabins were completely occupied by motorcycle enthusiasts by the end of the day. 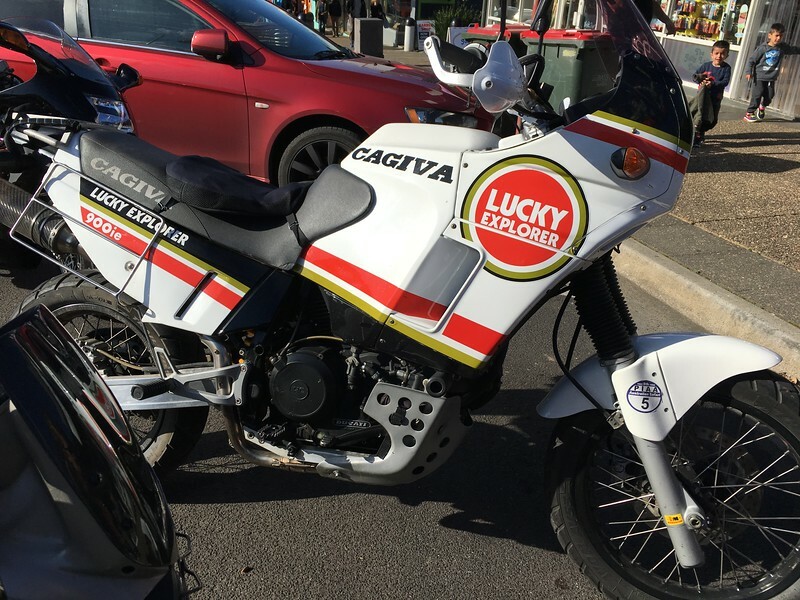 Thursday evening in Cowes was pretty quiet, although we did come across the legendry duo of Tex and Bundy. The pop up merch shops were doing a brisk trade as their goods are less expensive than the vendors at the circuit. Everyone loves Valentino it seems! We drove to the track on Friday morning, fully prepared for all weather conditions! 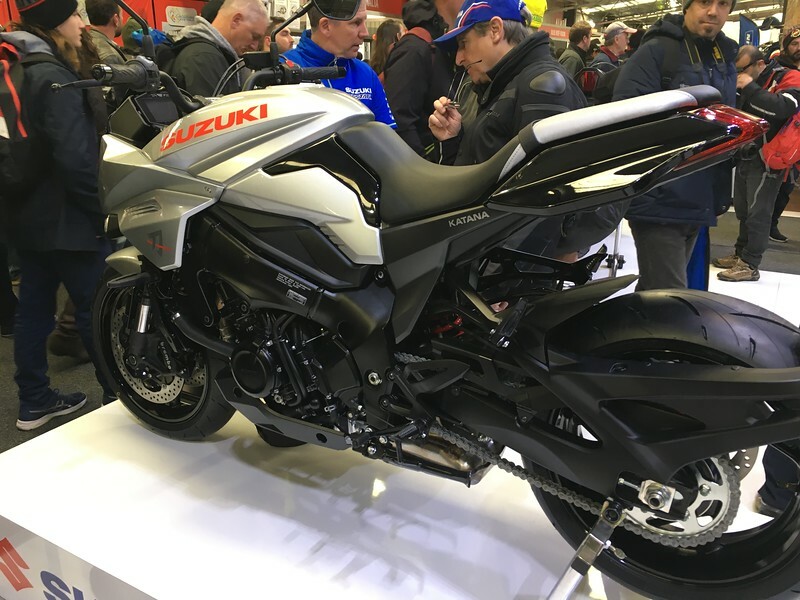 The place was a hive of activity with all the teams getting their practice sessions underway and spectators sorting the best viewing positions and visiting the trackside Expo. 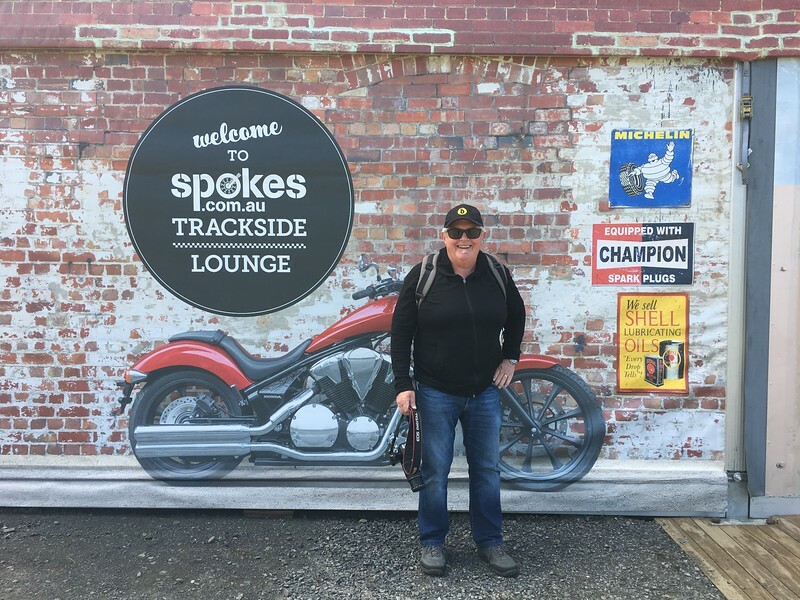 It was sunny but only around 13C with a very cool breeze, so the shelter and free coffee offered at the Spokes tent (yes that “brick wall” is fake) was too appealing to Dorothy and she settled in for the morning whilst I eventually wandered off to turn one to watch the action. 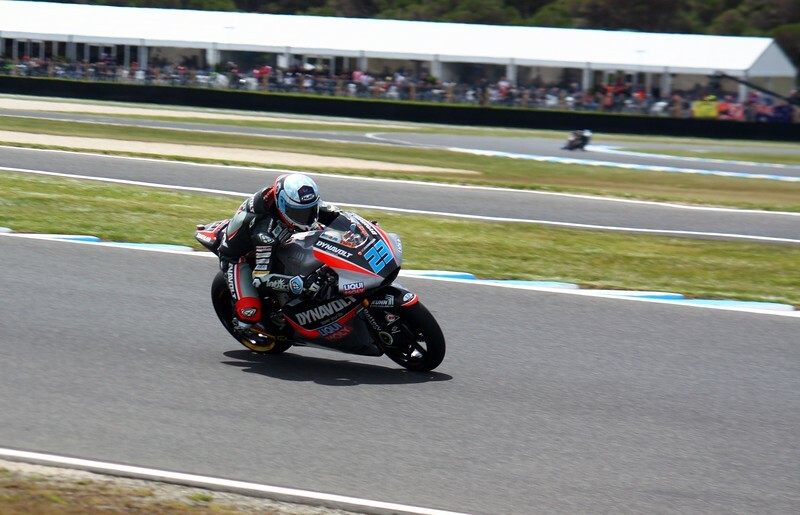 Moto 2 rider Marcel Schrotter getting up to speed. 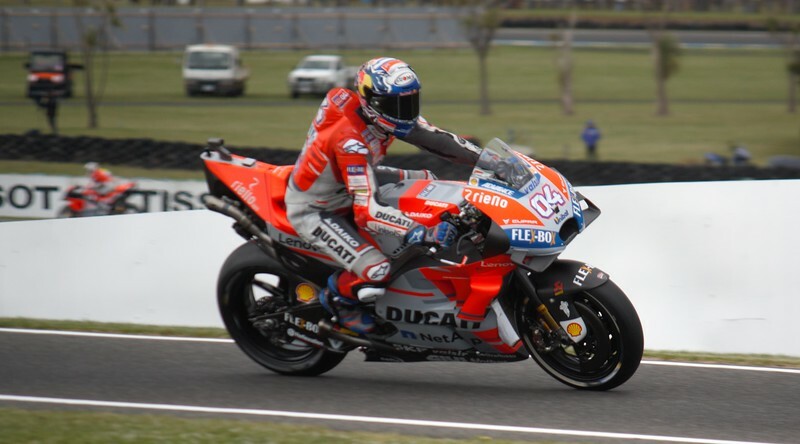 All the big names were out, and based on prior form, Dovizioso and Marquez (above) had to be the favourites. However, after the end of free practice, Dorothy declared the her personal favourite, Maverick Vinales, was going to win on Sunday. 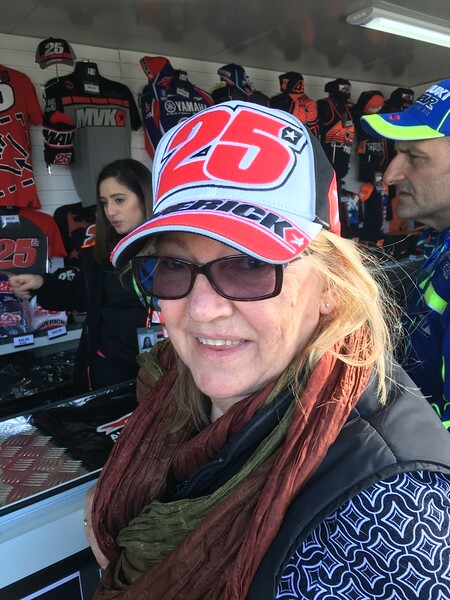 She even went on a quest to purchase a Vinales cap, but baulked at the $55 price at the track, but found exactly the same item in Cowes a couple of hours later for $35. 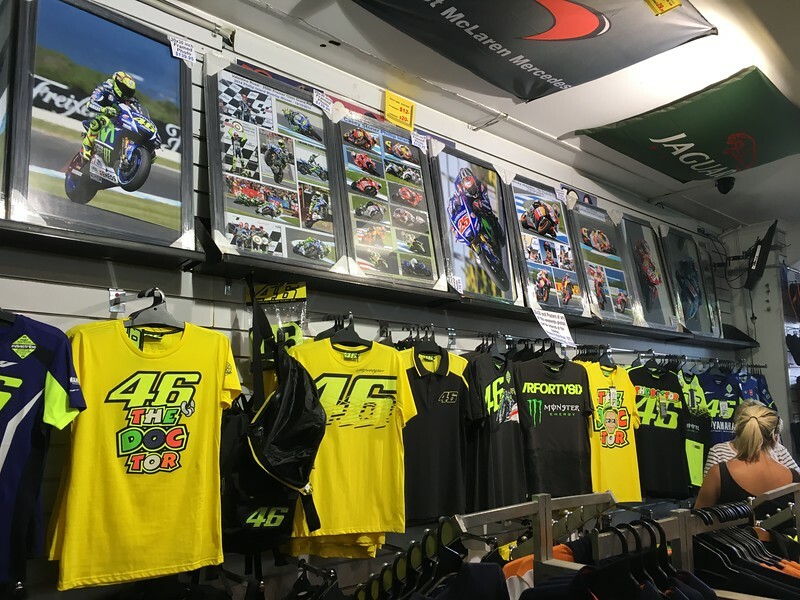 Interestingly, the Vinales merch was a licensed product of VR46 promotions. Yep Rossi holds the rights to even his team-mate’s merch! Who am I to argue, this girl knows her racing, and has been following MotoGP since the early days when it was the 500cc World championship on SBS TV . We both attended the first Aust race in 1989 and many more after that. We caught the bus to the track on Saturday to avoid the parking hassles at the track and had a great day after some early morning showers. Chillertek had rung early and suggested bringing an umbrella, which were glad we did. Saturday’s qualifying sessions are actually my favourite part of the whole weekend and all of the afternoon sessions were really entertaining. And to top it off, Maverick Vinales qualified on pole. After a few missed communications, we managed to catch up with fellow blogger Chillerteck of the famous “Road to Nowhere‘ blog. 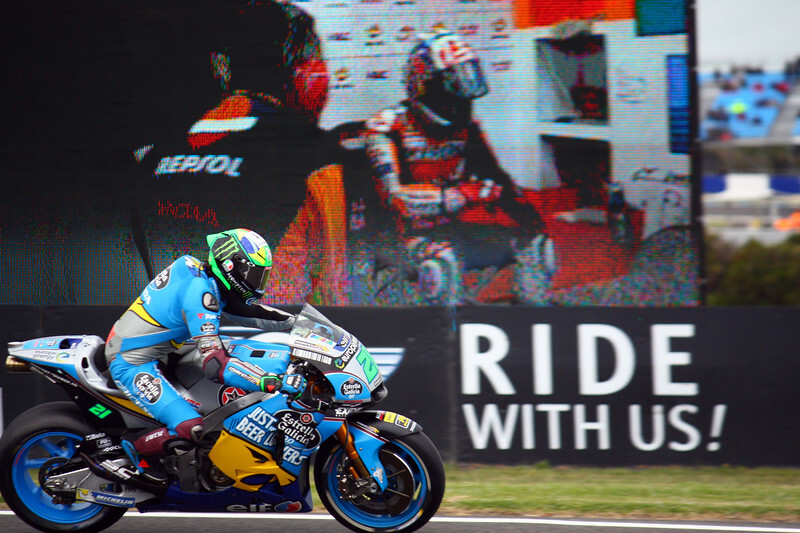 You really should check out some of Steve’s trackside photography – it is excellent. 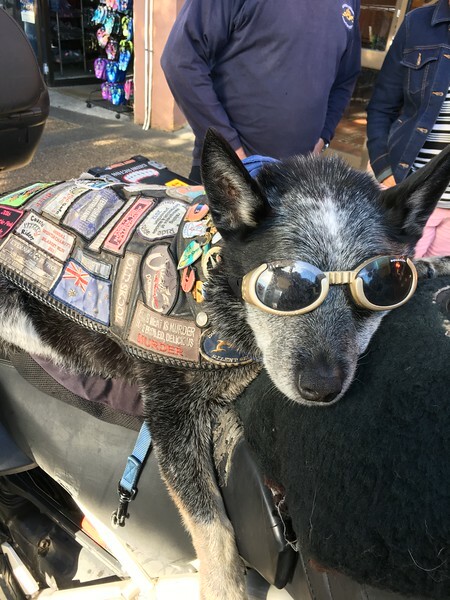 It was great to catch up with Steve, and to meet his brother Dave for the first time – see his View from Above blog for some excellent cycling info, as well as motorcycling. As always, the time absolutely flew talking to these guys, and it was great to catch up again Steve. Saturday night in Cowes was vibrant with lots of people out and about, however, the police and security staff nearly outnumbered the race enthusiasts. Sunday dawned dry, sunny and still a little chilly and we again caught the bus to the track. 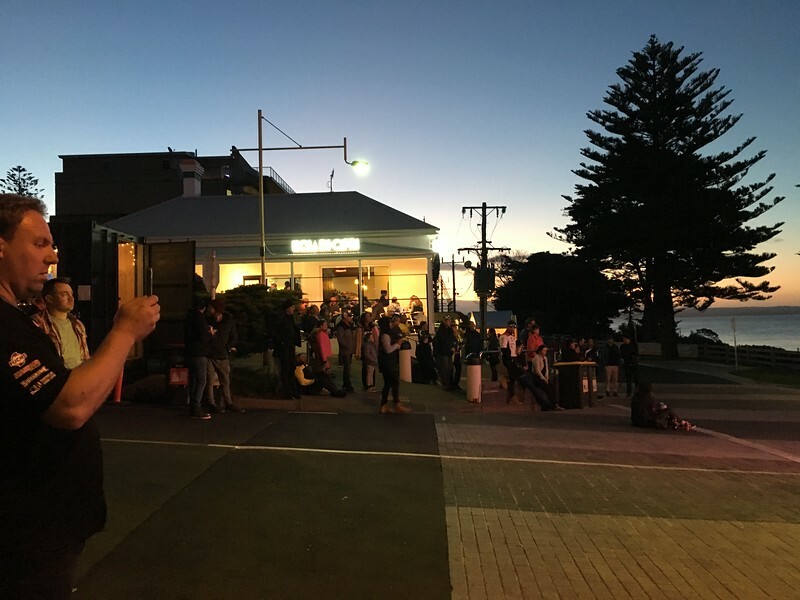 Each stop had stacks of racegoers waiting and there was a great ‘vibe’ and plenty of banter. We spent raceday in an elevated position at the start of the main straight, which affords a view of Lukey Hieghts,and turns 10, 11 & 12. It also has a big screen to see the rest of the circuit. This was the first time we’ve watched from here. It was packed due to the the shelter it offers compared to more favoured sopts such as Siberia and MG corner. I’m glad we were there early and secured a good spot! The racing conditions were perfect, the morning ‘Waurm Ups’ were entertaining and in no time the races had begun. 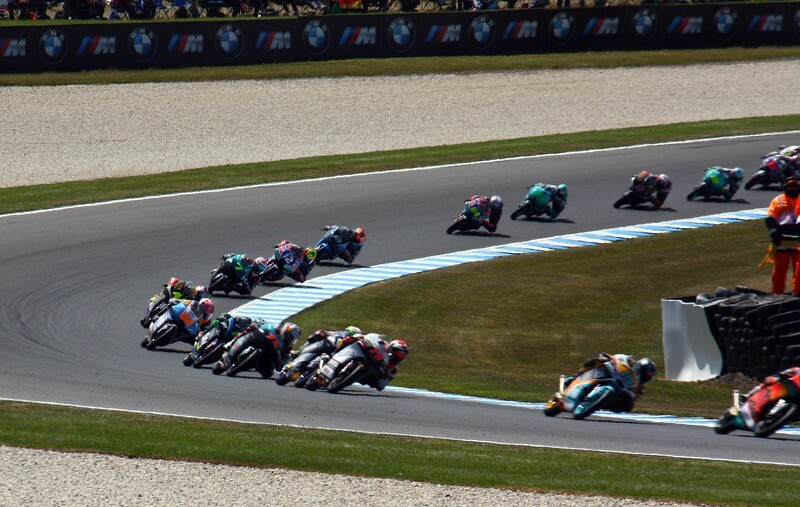 Arguably, the Moto 3 race was the race of the day in terms of hard elbow to elbow racing and excitement. Unfortunately, I was just a little too far from Turn 12 for any good pics from my camera. 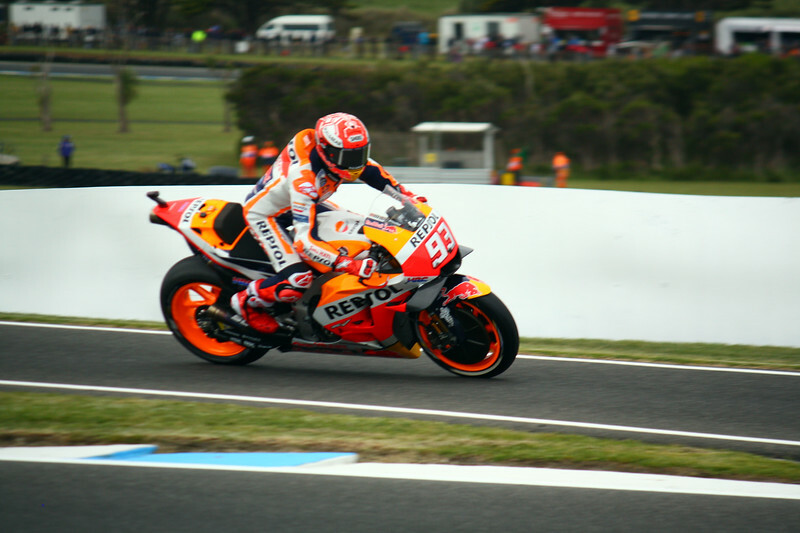 All of the races were excellent and the MotoGP races was altered dramatically when Zarco ran into the back of Marquez at the end of the main straight and ended both of their races for the day. Even so, Vinales had started poorly and spent the first few laps in 10th place. However, he quickly picked his way through the field, and went on to lead by 4 seconds – pretty rare at PI. And so, Dorothy’s race form analysis was vindicated. She was pretty chuffed to have the only ‘Vinales 25’ cap on as we travelled back to Cowes in the bus! It had been an excellent day that had flown past in the blink of an eye. 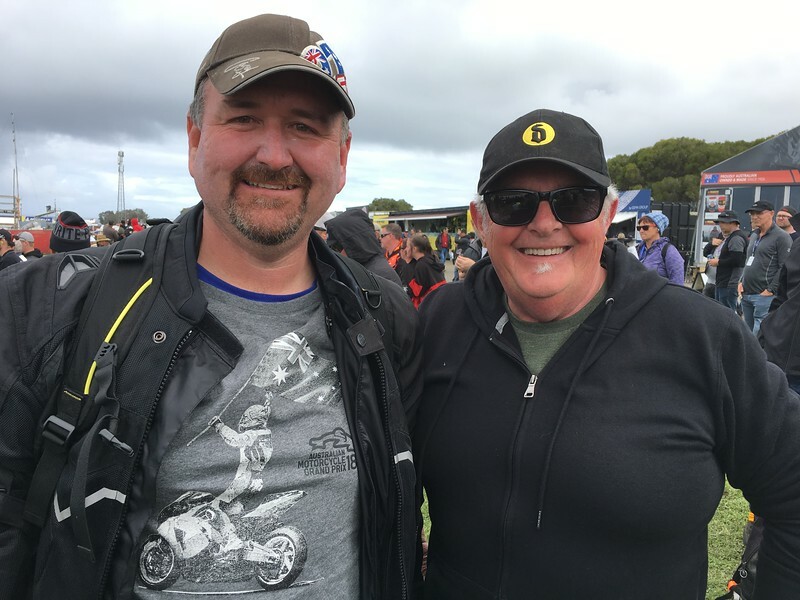 We had a great evening chatting to other race fans over drinks at the caravan park, including our camp ‘neighbours’ – one who’d flown in from Auckland and met his mate who’d flown from West Aust and then they’d hired a van at the airport. We departed on Monday morning having had a really enjoyable (and comfortable) 5 days at PI. We plan to do it all again next year. The sun sets in Cowes on Sunday evening. Post script: Seeing interesting motorcycles is also a great aspect of the GP weekend. here are some that caught my eye. I’ve never seen an elephant in the wild before! 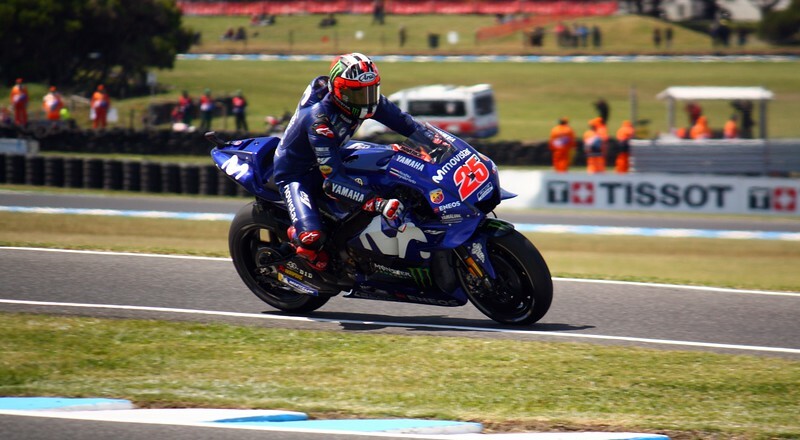 This entry was posted in Kawasaki ZX14, Phillip Island MotoGP 2018 by jcpearce. Bookmark the permalink. Thanks Geoff. It really is a top event and there are so many subtle aspects that I haven’t tried to convey. Other than the on-circuit action, it is a reall buzz hearing a diverse range of languages being spoken on the streets of Cowes in the evenings by race fans from all over the world and the comraderie of all. Hey Jules! It was really nice to finally meet you and I hope we can do it again (over a coffee, somewhere along the GOR with our bikes parked out the front). As for the GP? 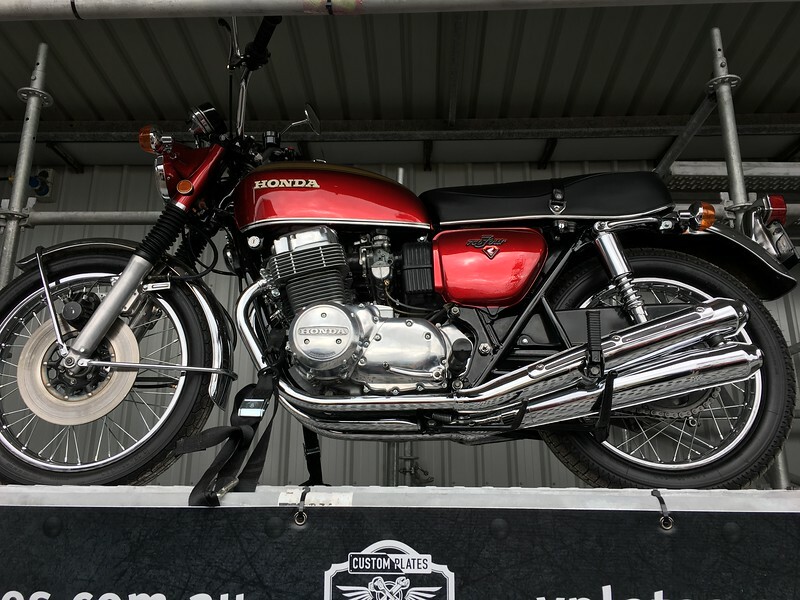 I was really surprised at how well the event was run, from the food outlets to the camping and toilet facilities, plus of course the bikes, it was all top notch. I have found some old photos from the late ’90s and early 2000s that show how just poorly organised it used to be. Oh and next time I will ask Dorothy for tips…….. Thanks Dave, I’ve just posted on your blog as well. I thoroughly enjoyed meeting you at last. I’m absolutely amazed by your cycling accomplishments! We haven’t stayed at the Island for the full weekend before but will certainly do it again. However, given the potential weather, we will continue to camp away from the track and take the car & camper trailer. 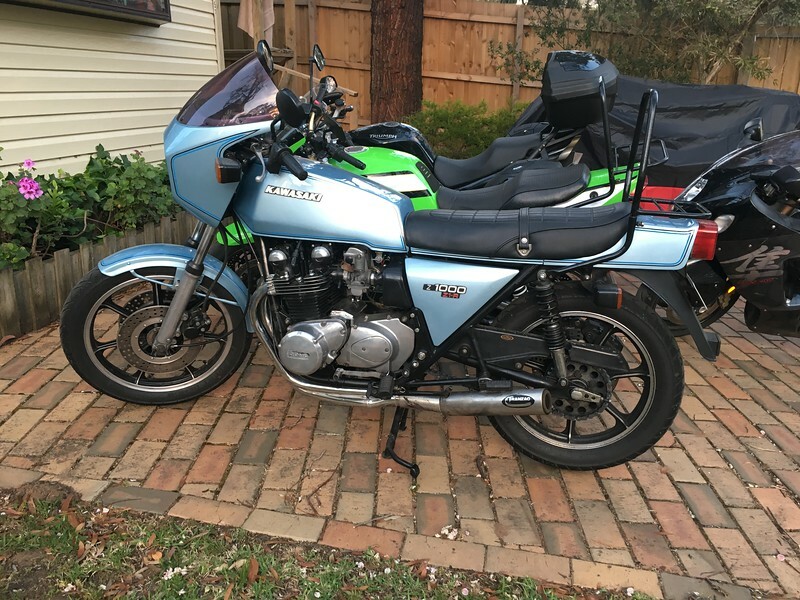 The irony with this is that I rode to the Island Classic earlier this year and it was around 36C trackside and 41C as I rode back through Melbourne – far too hot for motorcycling! Dorothy WAS rather smug about the Vinales win!! Great pics as usual and I must apologise. I completely forgot to mention our meet up on my blog. I think I was so wrapped up in photo editing I didn’t put much emphasis on the words. Dave was looking forward to meeting you and having a bit of a yack. It was good to chat with you and Dorothy again, hopefully we can meet up again next year. Thanks for the comments on my pics, my lense isn’t quite long enough and most of them are cropped pics but still has enough MP to come out fairly clean even with a crop. I think a 400mm lense would be perfect for PI. No worries Steve. I enjoyed catching up again. We will have to aim for a meal and a few drinks next year. Photography could be very similiar to motorcycling – there is always something with slightly better performance to yearn for!